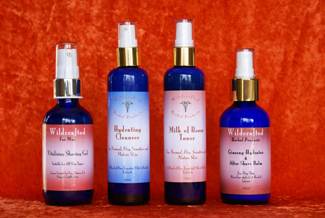 Natural Skin Care from Wildcrafted Herbal Products™ Provide You with Beautiful, Radiant and Healthy Skin - Naturally. high quality, safe, fresh and effective Natural Skin Care Products for You. All our natural skin & body care products are handmade in small batches to ensure freshness and effectiveness. They only contain safe, 100% natural and organic ingredients to nourish and protect your skin - naturally. Use Wildcrafted's range of Exfoliants to reveal your hidden new skin. Our Exfoliants soften, nourish and rejuvenate your skin, leaving it feeling silky-soft and looking younger, smoother and healthier. Wildcrafted's Skin Renewal Gel and Facial Clay Masks remove the dead skin cells that make your complexion look dull, lusterless and looking older than it should. The herbs and essential oils in Wildcrafted's Natural Exfoliants will nourish the deep layers of your skin promoting healthy, vibrant new cell growth. Using Wildcrafted's Natural Facial Clay Masks to remove toxins, dirt and other impurities as well as dead skin cells from your skin, is an ideal way to refresh, rejuvenate and revitalise your facial skin. Wildcrafted Earth Medicine Facial Clay Masks are a blend of the finest quality argiletz active mineral clays and plant hydrosols. Earth Medicine Facial Clays are pure and natural clay-based skin care products that help you keep your skin looking smooth, vibrant and youthful. Cleansing your skin like spring rain, Wildcrafted's natural facial skin cleansers remove the daily buildup of grime and dirt as well as makeup from your skin and pores, leaving it feeling clean, fresh and revitalised. Cleansing is one of the most important steps of a complete skin care regime. Cleansing of your facial skin should be done morning and night to ensure the removal of surface impurities, make-up, and stale skin oils. When regularly performed cleansing will enhance the skin's ability to breath and maintain its other important functions. A natural facial skin cleanser, formulated for Normal to Oily Skin types, Wildcrafted's Lemon Cleanser removes stale make-up, congealed natural skin oils and air borne impurities, whilst gently soothing and hydrating the skin. Wildcrafted's Hydrating Cleanser suitable for dry, mature and sensitive skin types and should be used before toning and moisturising as part of a daily skin care regime. For Normal, Dry, Sensitive and Mature Skin Types. For Normal, and Normal to Oily Skin Types. This is a very much neglected part of a good skin care regime. All too often this step is not included, yet it is one of the most important aspects of a good, daily skin care regime, because after cleansing the skin the pores of your skin are open and allow moisture to 'escape' from the dermis. Using a skin-specific toner will (a) close the pores preventing more moisture from being lost and (b) prevent dirt and dust from entering the pores while they are open and susceptible to environmental particles to enter. In addition, a toner will prevent your moisturiser clogging up your skin. The Wild Herb Toner is for normal-oily skin, while the Milk of Roses Toner is for aging, sensitive and/or dry skin. The Mandarin Toning Lotion is a toner designed to help alleviate 'lumpy' skin anywhere on the body but is highly effective on buttocks, hips and thighs. To View the individual products, just click on the picture of the product you're interested in. This is more than a moisturiser. Wildcrafted's Age Defying Essence is a unique product that contains many herbs and essential oils that have been show to promote healthy cell growth in the cell generating layer of the skin. The dermal layer, where new skin cells are generated, is directly affected by the herbs and essential oils contained in this formulation. These herbs and essential oils are rich in essential fatty acids, anti-oxidants and phyto-hormones which are known to help aging skin retain is healthy, youthful look as long as possible. Unlike so many of the commonly available Anti-aging products, our Age Defying Essence does not simply work by hydrating your skin, thus flattening out lines and wrinkles. The herbal ingredients and essential oils included in our product are known for their actions on the skin's dermal layer and their effectiveness of regenerating and rejuvenating the dermis. This, over time, will promote healthier skin cells, which will show in your complexion. Men's skin benefits from using Wildcrafted's Ginseng Hydrators by hydrating, nourishing, refreshing and re-energising the skin. Wildcrafted's Ginseng Hydrators put back what shaving takes out of your skin and help to heal minor cuts and abrasions resulting from shaving. Wildcrafted's Vitalising Shaving Gel and Ginseng Hydrators are 100% natural and formulated using pure, therapeutic grade essential oils and herbal extracts, specifically chosen for men's skin. Natural hair shampoos and conditioners that will keep your hair healthy, shiny and soft, naturally. Are you looking for natural hair care products that do not contain potentially toxic ingredients, are not based on crude oil products, and provide natural hair care for your hair and scalp? Do you want ingredients that are 100% natural and have been shown to help keep your hair healthy and beautiful, naturally? Do you prefer using products that have not been tested on Animals? Wildcrafted Herbal Products offer you a new range of hair care products that are natural and do not contain any potentially harmful or toxic ingredients. 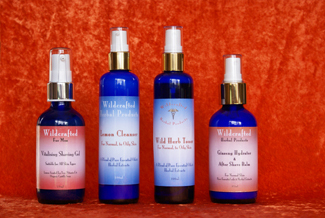 Wildcrafted's range of natural hair care products contain 100% pure essential oils, herbal extracts and other purely natural ingredients that are safe, environmentally friendly and have not been tested on animals. This is the range of products that started it all. As a medical herbalist, Susan O'Neill-Siegenthaler has formulated these products for a wide range of complaints that patients presented with in her Clinic. Their effectiveness has stood the test of time as they were originally formulated well over 30 years ago and have remained virtually unchanged in both their formulation and effectiveness. There are 2 basic categories of products in this range. 1) Herbal mixtures - to be taken internally, and 2) Creams, ointments, and drops to be applied externally. Both these categories of herbal products are 100% natural, do not contain any artificial or synthetic ingredients and are still used by our patients on a daily basis. Due to Australian TGA regulations, Wildcrafted's Therapeutic Range can only be supplied following a free VIRTUAL CONSULTATION. Just fill in the form and click the submit button and we will attend to your enquiry as soon as we can. Alternatively you can contact our Clinic. Your skin is under daily attack from air pollution, bacteria and viruses, as well as the environmental and climatic conditions. Therefore, skin care plays an important part in our overall health. For that reason, our range of 100% natural skin care products are designed to help you keep your skin looking and feeling as healthy and beautiful as is possible. Women and men need to follow a daily skin care regime in order to maintain the health and vitality of their skin and reduce the adverse effects from the daily attack of pollution and microbes. A simple 3-part system of cleansing, toning and moisturising combined with a healthy diet, is all that's required to keep your skin looking smooth, healthy and vibrant. Wildcrafted's range of products are designed to nourish and protect your skin and are available individually so you can mix and match the products best suited for your specific skin types. Alternatively you can choose from several Natural Skin Care Systems which are specifically formulated and matched for a wide variety of single and combination skin types. All our products are GM-free, using only 100% natural and certified organic ingredients to ensure your skin gets the best nature has to offer. These Systems include: Systems for Normal, Oily, Dry, Sensitive, Mature and Combination Skin Types. These systems are designed for mature skin types. There are two Age Defying Systems; one for mature and sensitive skin, the other for dry and mature skin. Irrespective of whether you have an oily, dry, sensitive, mature or combination skin type, you can mix and match products from our range to satisfy your skin's needs. Most of our natural skin care products form part of a group of products specifically combined, formulated and chosen to complement your particular skin type. Discover your skin type(s) here. Once you know your skin type or types, choose the system or individual products to match your skin's needs, by browsing our Natural Skin Care Systems page. The products in Wildcrafted's skin care system for oily skin have been formulated to cleanse and preserve the skin without diminishing its natural oil content, keeping your skin looking and feeling fresh and vibrant. 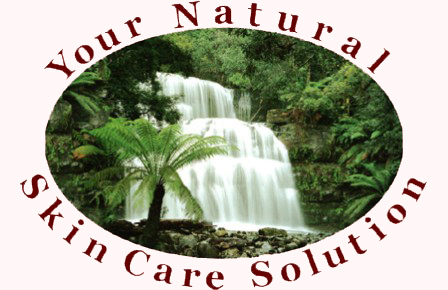 Visit our Natural Skin Care Products - Systems page for full details. To find out how to help your skin retain that glowing, radiant and healthy complexion, visit our Natural Skin Care Products - Systems page for more details. 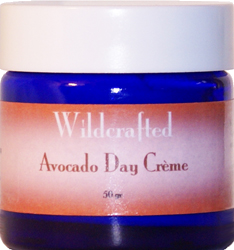 Wildcrafted Herbal Products also make natural organic skin care products and systems for men. You can choose from products specifically formulated for men's skin whether it's normal, dry/sensitive, or oily. The the products in our men's range contain nourishing, masculine essential oils and herbal extracts in their purest form, so your skin will look smooth, healthy and appealing. Men too need follow a daily skin care regime to maintain healthy, smooth and vibrant looking skin. The process of shaving can leave men's skin irritated, red and dry - and none of us want that! The Wildcrafted Ginseng Hydrator Range for Men will give back what the shaving creams and soaps take out. There are three systems, which are specifically formulated for Normal, Dry/Sensitive or Oily skin types. For a complete description of our Men's range take a look at our Men's Skin Care Range. Wildcrafted's Therapeutic Herbal Products are formulated and blended by our own qualified and experienced Medical Herbalists and can only be supplied following a free VIRTUAL CONSULTATION. 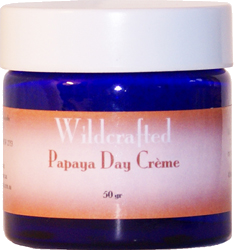 Please visit our Wildcrafted Therapeutic Products page for more details. Our range of handmade natural skin care, anti-aging, personal care and herbal products contain natural and eco-friendly ingredients from suppliers using environmentally sustainable, organic growing methods. Only the highest quality essential oils, carrier oils and herbal extracts are used, so you can indulge yourself in their quality and be assured of their freshness and effectiveness. Wherever possible we use certified organic ingredients so you are not exposed to any potentially toxic chemicals. The 100% natural and certified organic ingredients contained in Wildcrafted's holistically formulated skincare products are carefully hand-blended by our Medical Herbalist and Aromatherapist, to provide you with the optimal quality, natural skin care solution for your particular skin type without the need for you to pay department store prices. 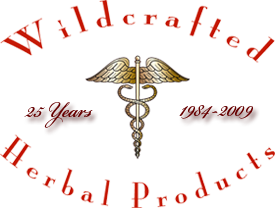 Originally created in 1984, Wildcrafted Herbal Products have stood the test of time and are used by many satisfied customers all over the World. 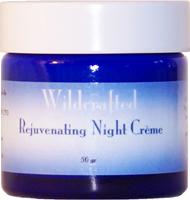 Wildcrafted's Moisturisers nourish, hydrate and help to repair your skin. The Age Defying Essence is part of our Anti-aging System. Use it separately, or as part of a whole systematic approach to aid in preventing premature aging of your skin. Give your skin an advantage by using natural organic skin care products that nourish, protect and pamper your skin - naturally. I've been using the ultra sensitive moisturiser that you sent me as a gift along with the cleanser and it's marvelous. It smells so divine that I want to eat it. The texture is silky and it goes on easy on the skin. My face loves it. 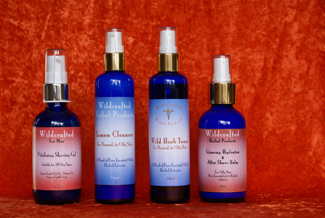 What's New at Wildcrafted Herbal Products.